Dell’s Latitude E7240 is a class act among 12.5-inch business laptops, but you’ll need to pay to play: This Ultrabook costs a cool $1795 as configured for this review, though you can get into a lesser configuration for $500 less. Styled largely in black and charcoal with minimal white highlights, the Latitude E7240’s sedate, no-nonsense looks won’t blow anyone away. 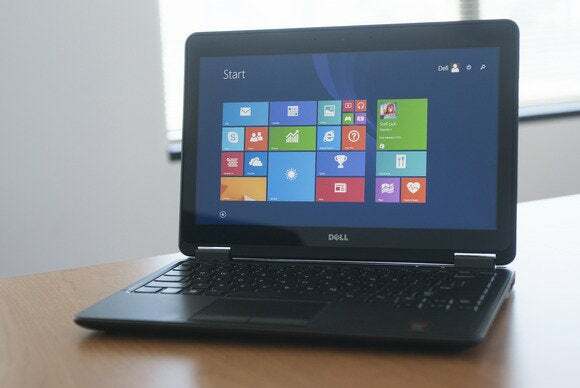 The keyboard has a solid feel and bounce (a relief after the saggy unit Dell put on its Inspiron 7537), and the touchpad with its single set of buttons is smoothly responsive. 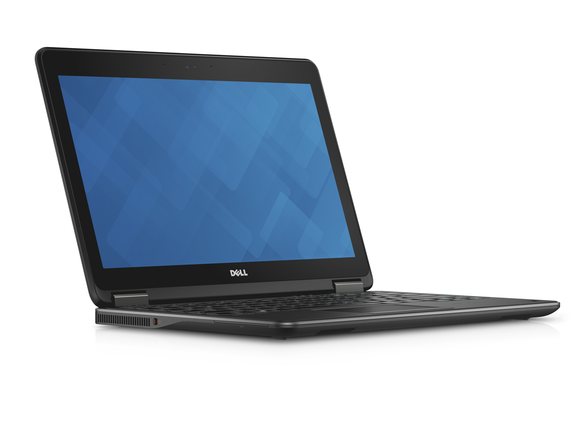 Dell’s Latitude E7240 is surprisingly heavy for a 12.5-inch Ultrabook. It weighs in at 3.6 pounds. The E7240’s 12-inch touchscreen Gorilla Glass display is as sweetly responsive as its touchpad. Its native resolution of 1920x1080 is great for movies, but it also makes for tiny Windows icons and text. I immediately bumped everything up to “larger” in the display preferences, but I still found that to be less than ideal for older eyes. 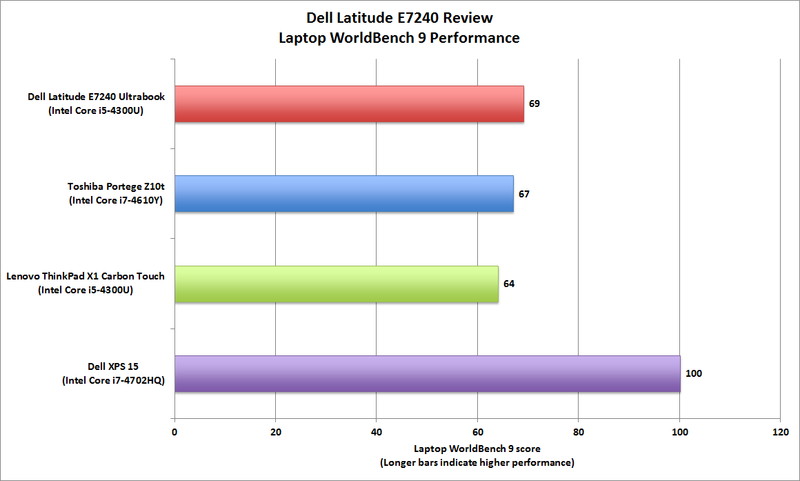 With an Intel Core i5-4300U CPU, 4GB of DDR3/1600 memory, and a 128GB Samsung SM841 SSD, the Latitude E7240 posted a Laptop WorldBench 9 score of 69. That’s a better score than Toshiba’s Portege Z10t delivered with a Core i7 processor. Installing our benchmark suite bumped right up against the SSD’s skimpy capacity, though. 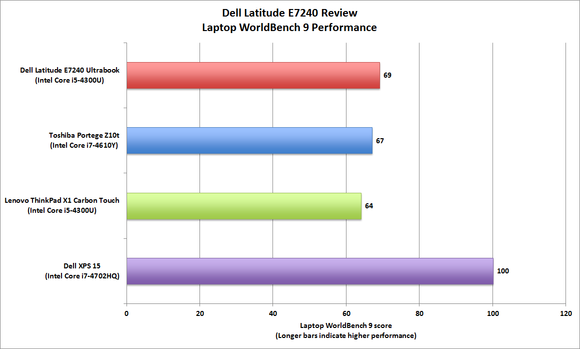 The Latitude E7240 delivered a surprisingly strong WorldBench 9 score. 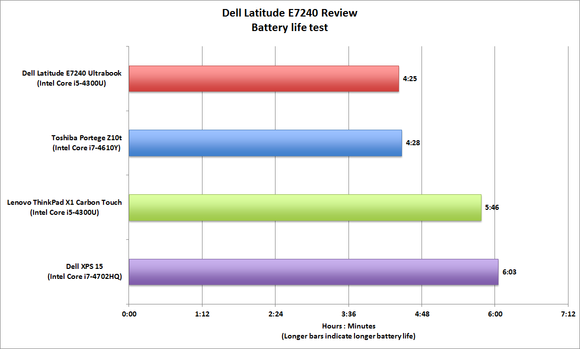 The E7240 lasted 4 hours and 25 minutes in our punishing battery-rundown test. That’s not bad considering there’s only a super-slim, bottom-mounted, 45-watt-hour battery on board. Still, Lenovo’s 2014 ThinkPad X1 Carbon Touch lasted 81 minutes longer. Removing the E7240’s battery reveals two Phillips screws securing a plate that covers the internal components: an mSATA SSD, two SODIMMs, and a WLAN card. There’s also a slot (unfilled in our test unit) for a broadband card. The CPU fan and heat pipes are also exposed for easy cleaning. Battery life, on the other hand, was pretty typical for a machine this size. As mentioned, movies look marvelous on the high-resolution display, and the speakers —-small as they may be—are not all that bad. With the laptop lying flat, the sound is loud and slightly muffled. Placing the laptop on an acoustically reflective surface and propping up the rear with a pencil frees high frequencies, making its overall sound clearer (though with slightly less bass). A port on top to let the high frequencies escape directly would work wonders. The E7240 ships with Windows 8.1 Pro, and thanks to Intel and Dell, way too many applets running in the system tray. A couple of minutes pruning said apps with task manager was satisfying. Beyond that, there was little in the way of junkware. The Latitude E7240 is fairly heavy for its size: The 13.2-inch wide, 9.1-inch deep, 0.8-inch thick Ultrabook weighs 3.6 pounds. To be perfectly honest, I like the heft. I’ve been informed, however, that I’m in the minority on this matter. You can shave 0.6 pounds off the E7240 by forgoing the touchscreen. With Microsoft finally adding better mouse and touchpad support to Windows 8, a touchscreen might no longer be so important. 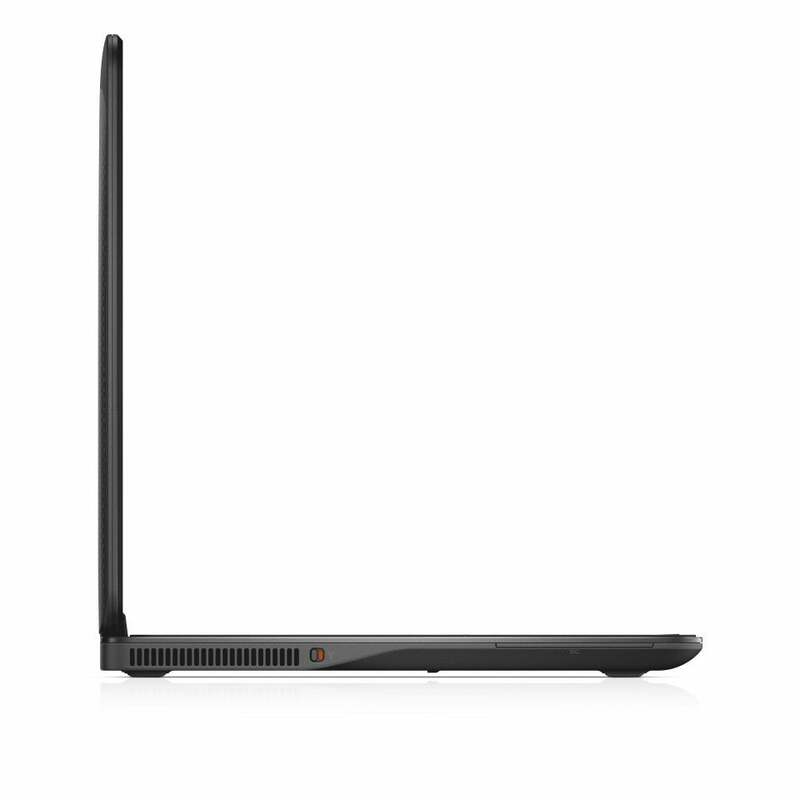 The Latitude E7240 is 0.8 inches thick. The majority of the E7240’s ports are found in the back, which is unusual. There’s HDMI, two USB 3.0, and gigabit ethernet. Placing the latter in the hinge area allows Dell to avoid using a drop-jaw RJ-45 port, which is increasingly common on thin-and-lights. Such mechanisms are clever, but too many are also fragile. The docking port on the bottom of the E7240 accepts either the $118 E-Port (with modern ports), or the $153 E-Port Plus (which adds legacy ports, such as serial, parallel, and PS/2). You don’t have to reach around the E7240 for everything. There are USB 3.0, mini-DisplayPort, and headset jacks on the righthand side of the unit. Other connectivity comes courtesy of Intel’s AC-7260 wireless chip, which provides state-of-the-art 802.11ac support in addition to the more mundane 802.11b/g/n and Bluetooth 4.0. The price of the Latitude reflects its corporate/business focus, and part of its cost can be attributed to its three-year warranty with on-site service (after remote diagnosis). Four- and five-year plans are available at extra cost, as are accidental damage coverage, extended battery service, and data recovery insurance. If you’ve read my reviews in the past, you’ll know I’m a desktop replacement kind of guy. But if I wanted a new 12-inch to trek about to IT gigs, the Latitude E7240 would be on my short list. Note: The price quoted reflect Dell’s “instant savings” discount. 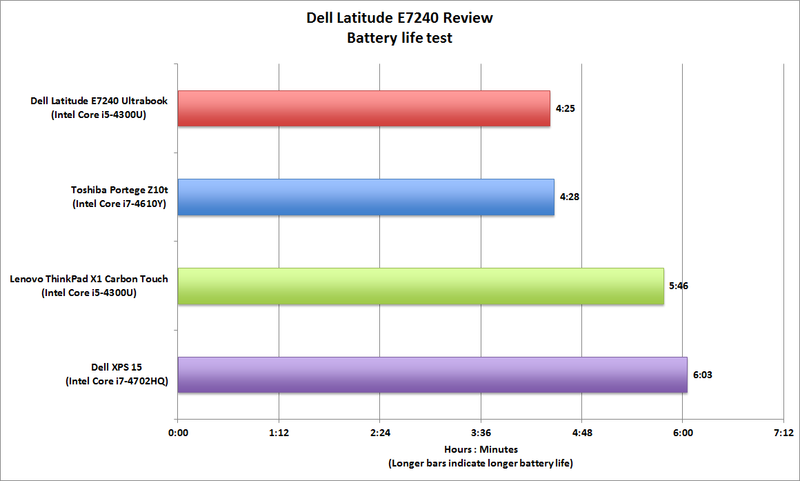 It's pricey, but Dell's Latitude E7240 is about as good as it gets in the realm of 12.5-inch Ultrabooks.